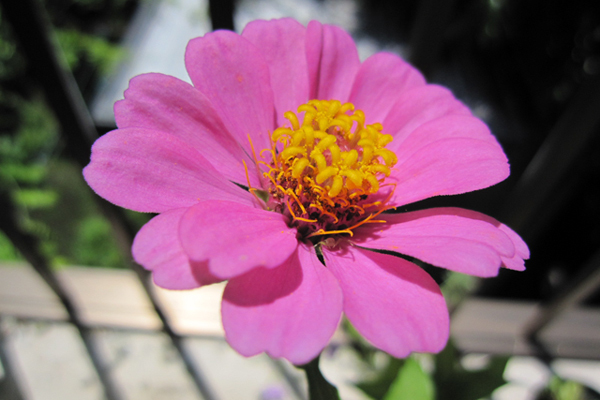 We provide earth-friendly novelty items to small businesses as well as large enterprises. 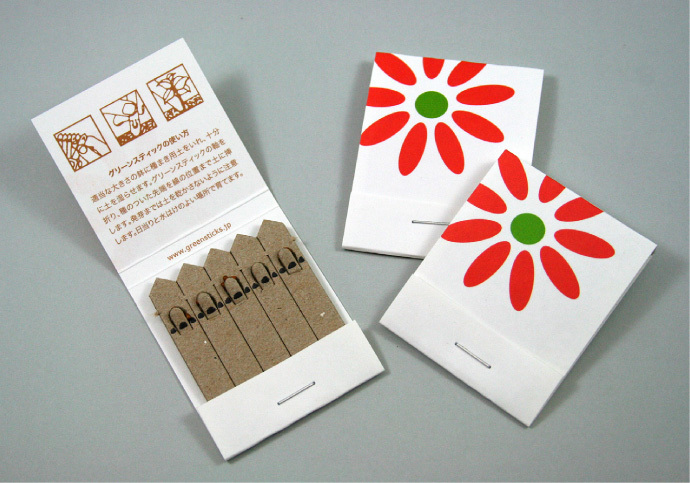 Greensticks, a matchbook-type seed packet and Bloomin Seed Paper. 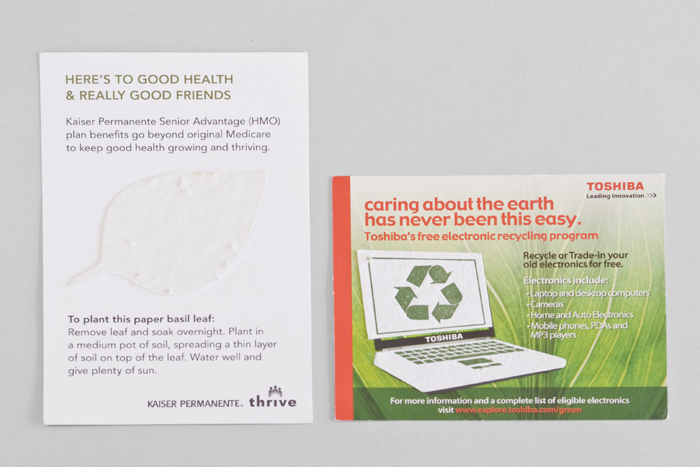 All items are great for letting your customers know that you are conscious of the environment while giving your business a strong boost. 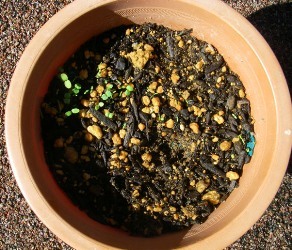 SOUP Inc. is the exclusive distributor for Japan and Asia for Greensticks and Seed Paper. 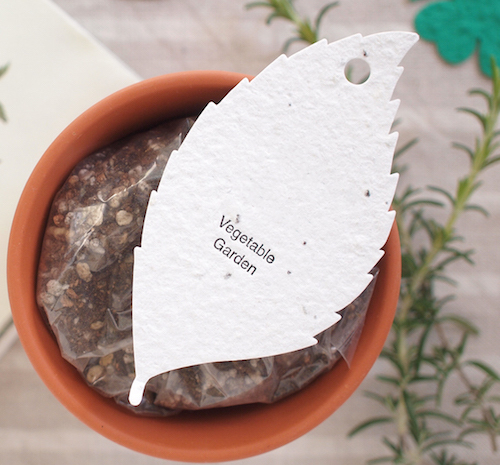 Whether used for greeting cards, stationery, or promotional items, our all-natural seed paper makes its most meaningful impact when planted - the garden it grows can be enjoyed year after year, adding a little more beauty to our world. 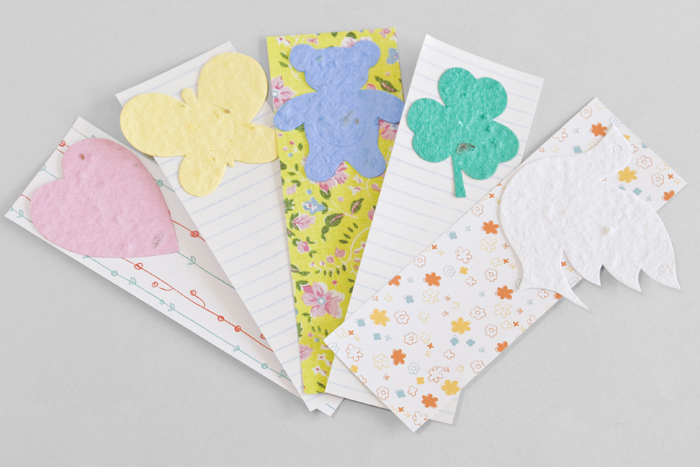 These seed paper shapes are our most popular! With a mix of gardening shapes, heart shapes, holiday shapes and more, you will be sure to find the right shape to fit any occasion. You can letterpress print your logo or company name with additional charge. Bulk shapes. Cello wrapping not included. Choose from 17 colors. Bulk shapes. Additional charge for cello wrapping. Choose from 17 colors. 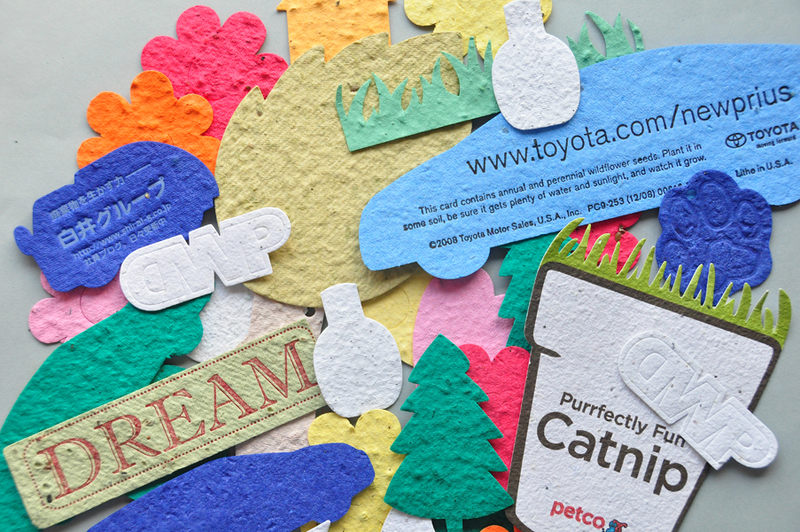 We can make custom shapes to fit your promotional theme. Please send the artwork in Adobe Illustrator and ask a quote. Fee for original cutting die will be added. 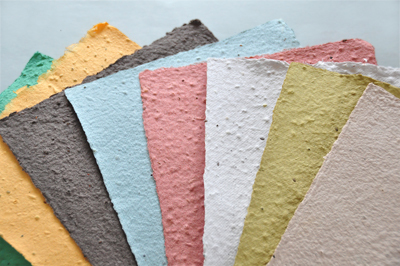 Bloomin Original Flower mix paper contains 11 different wildflower seeds. Choose your favorite shapes. 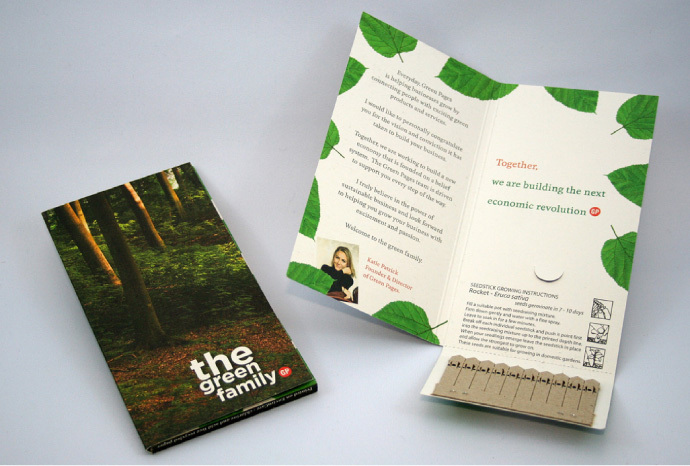 We can print and assemble with a backing card. 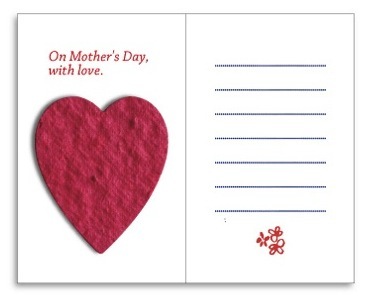 Contains: Seed shape, 4C/4C off-set printed backing card, inserted into cello sleeve. *Price will vary depending on shape. Choose 3 shapes of your choice. Package header can be an original design. **Price will vary depending on shapes. 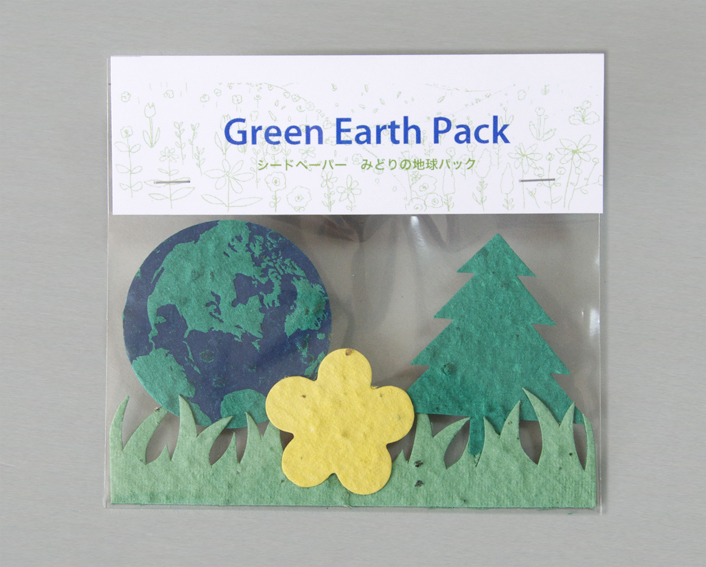 Our Green Earth Pack is an excellent eco-friendly gift. Earth, tree, grass and flower shapes. 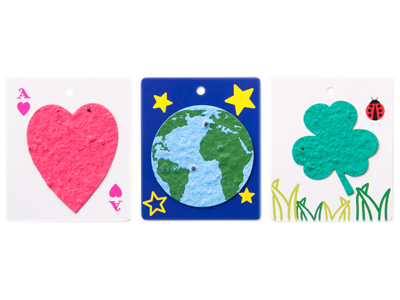 Attach your favorite seed shape to a bookmark. 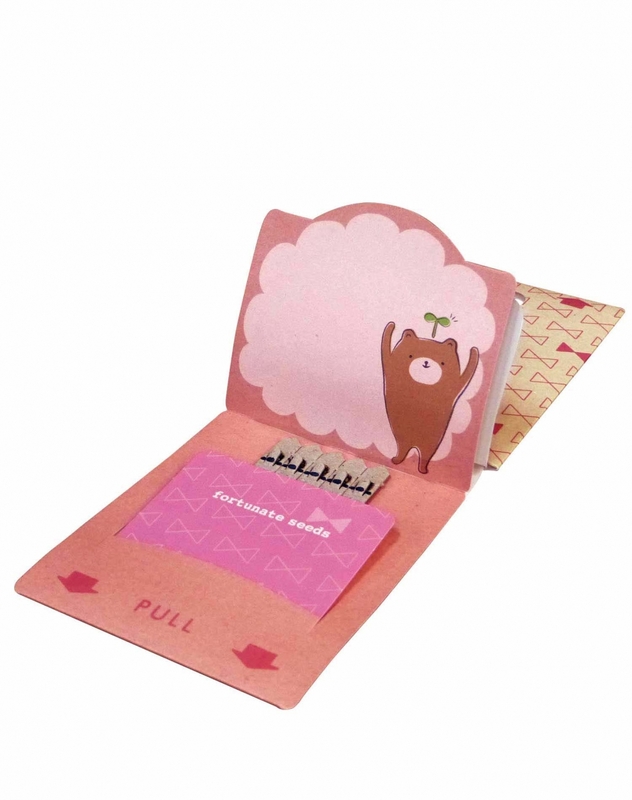 This postcard with an attached seed paper shape will entice your customer to read your message. 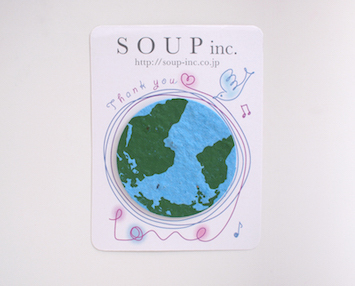 Shapes are attached with water-based glue to 4C/4C offset-printed postcard. **Price will vary depending on shape. 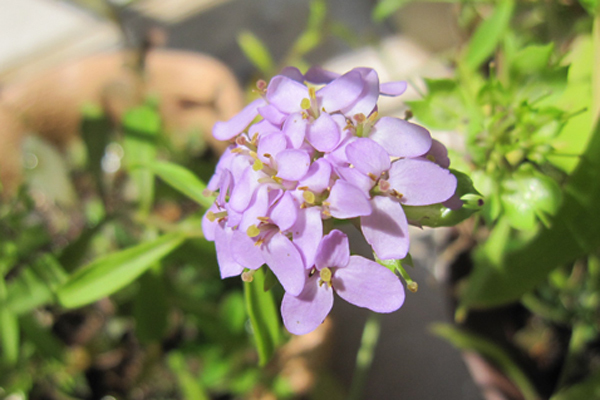 Send your message to your dearest people. 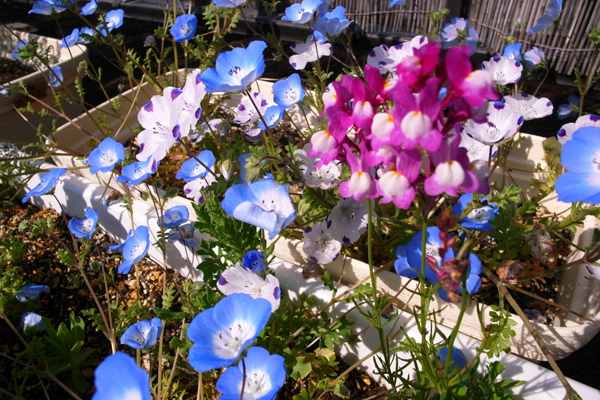 A warm gift that will grow. Punched hole at top is optional. 1C/0C letterpress printed. 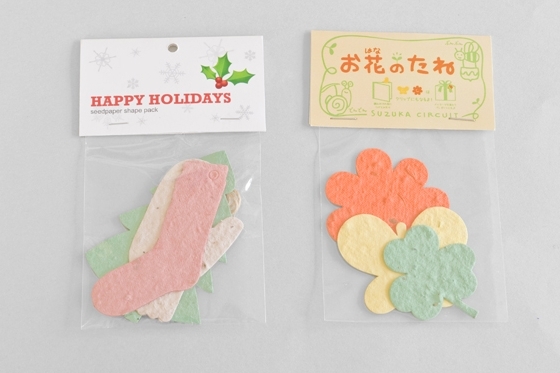 6 mm hole at top, attaching ribbon or string is optional. 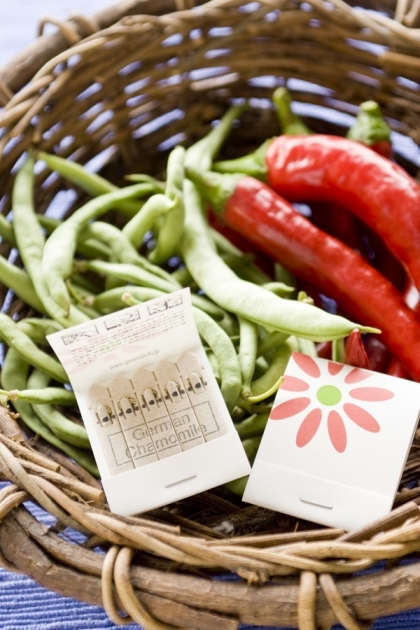 A matchbook-type seed packet is a great green gift. Custom package design available. 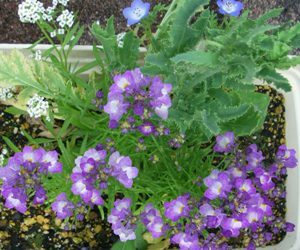 Choose your favorite seed variety: sweet basil, german chamomile and herb mix (Mix of Italian parsley, soup celery and thyme). Choose your favorite pre-design template, and we will imprint your logo and original text. 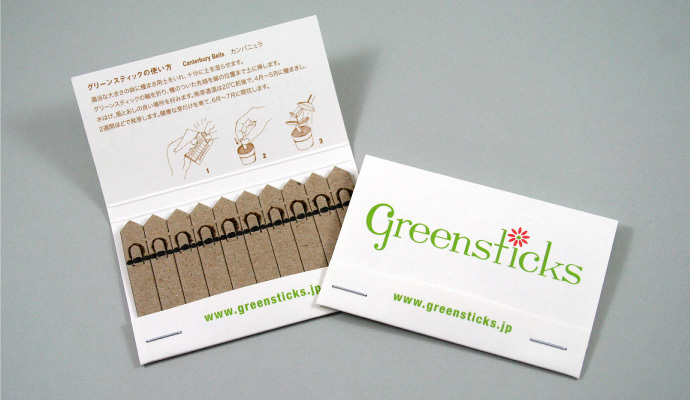 Fun and easy, a pop-up Greensticks! 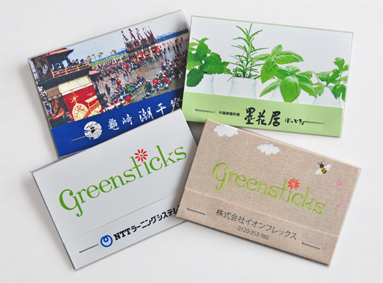 Design a Greensticks package just for you. Send us your ideas and we will send you design suggestions. 5-stick version only. A fee for original cutting die will be charged.